At Canyon View High, the Lady Falcons faltered late in the game and lost at home to Delta, 49-41. The two teams had battled evenly during a foul-plagued first half, which ended with the score tied 19-19. 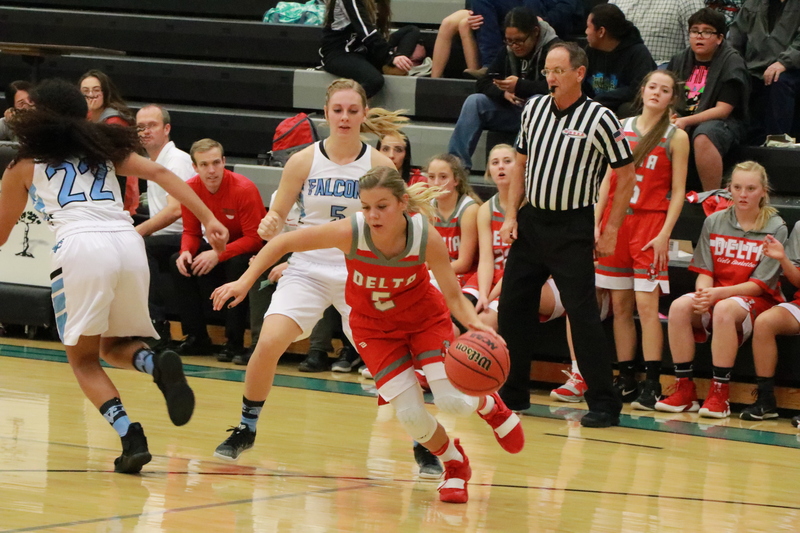 Delta scored the first five points of the third quarter, but Canyon View later pulled within two points, thanks to a full-court pressure defense. The Falcons scored the first six points of the fourth period to take a 32-31 lead with 6:15 remaining. However, the Lady Rabbits then went on a 4-0 run and never trailed again, as Canyon View struggled to make field goals and free throws down the final stretch. 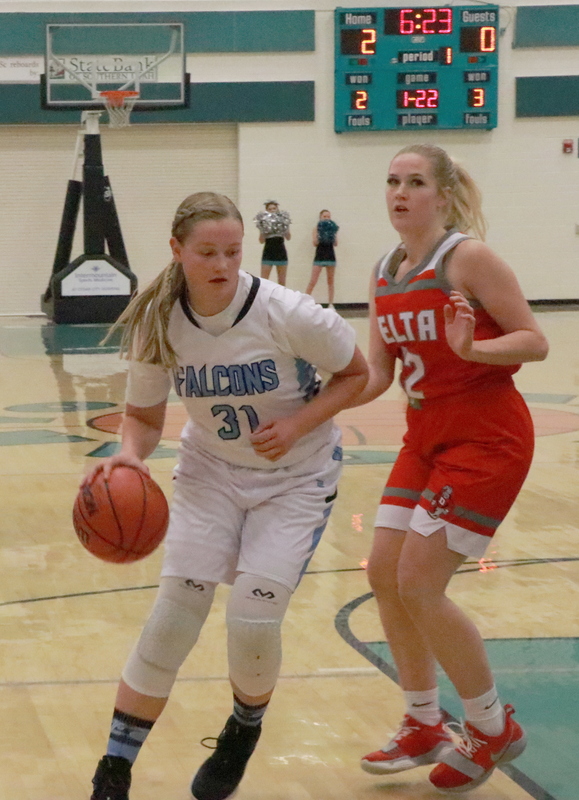 The Lady Falcons were led by senior Jordan Nielson’s 14 points, while junior forward Ashlyn Banks added 13. Canyon View made just 11 field goals during the contest and converted 18-of-32 free throw attempts. Delta’s balanced scoring attack was paced by Logan Springer and Brinley Henrie, who finished with 10 points apiece. Canyon View head coach Jaycee Barnhurst said she told her players although there is room for improvement, she saw many positive things during the game. In other action Tuesday night involving Region 9 teams, Dixie fell at home to Kanab 61-40, with the Lady Cowboys building a double-digit lead during the second quarter and coasting to victory. Also, at Enterprise, Snow Canyon defeated the Lady Wolves 58-44, with Olivia Harris leading the way 26 points, Tylei Jensen adding 11 and Rachel Durante scoring 10 for the Lady Warriors. All seven Region 9 schools have at least one more game this week, with most playing twice between Thursday and Saturday. After three weeks of preseason action, including invitational tournaments, Region 9’s regular season begins Dec. 18 and concludes Feb. 14, with the 4A playoffs following in late February. During the regular season, each Region 9 team will play the other six opponent schools twice, once at home and once away, with games taking place on Tuesday and Thursday nights.